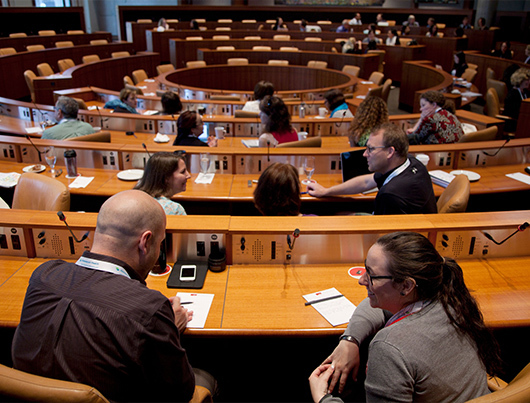 CACUSS is in the process of planning our future annual conferences and we are interested in hearing from our members about a few key issues related to the TIMING and other factors of the conference. We ask that you complete this short survey, it should take no longer than 5-7 minutes to complete. Your input is very valuable and we will be using this input to inform us about future dates and formats for our conference beyond 2019*. The feedback from this survey will be reviewed and considered by the Program Committee, Staff, and CACUSS Board. 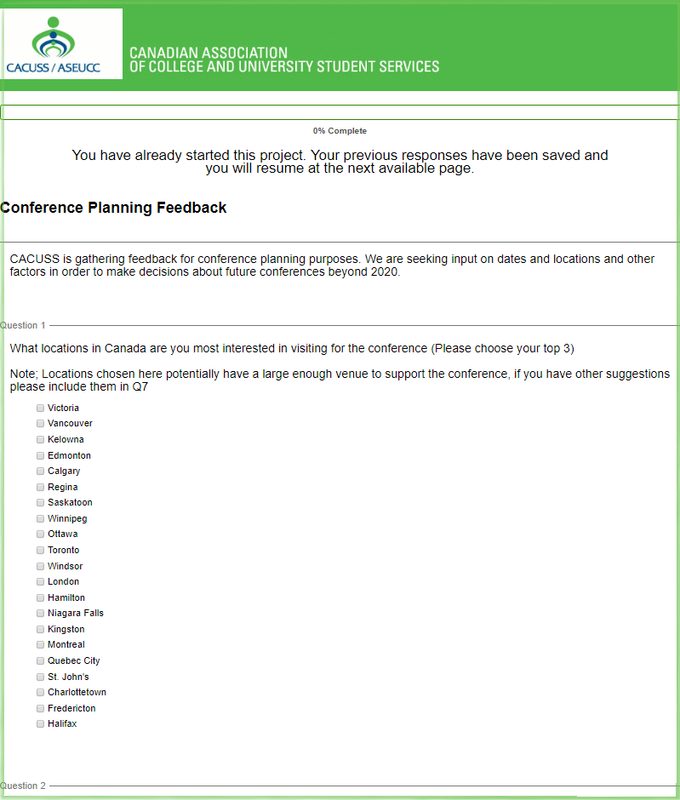 If you have any questions about this survey please contact Jennifer Hamilton at cacuss-ed@cacuss.ca. Mark your calendar! CACUSS 2019 in Calgary, Moh-Kins-Tsis, June 16-19, 2019: https://www.cacuss.ca/conference/index.html. Thank you for your time. The survey will close on Tuesday, August 14, 2018. On behalf of the Conference Planning Team.